It is often hard for a special needs parent to be honest. We are trying everyday to be strong for our children and those around us. Whether you are close to a special needs family or not, here are a few things a special needs parent would like you to know. Isolation for special needs parents is real. When things get difficult, many “friends” disappear because they say the situation is “too hard to watch.” As nice as this sounds, we know we are being “politely” avoided and thus, removed from the lives of these so-called friends. Special needs parents are also in unique situations. We know others will not intimately know the details of our child’s diagnosis or abilities and this can lead to feelings of isolation. This is exaggerated by other’s unwillingness to learn the basics of the situation. We need true friends who are willing to stick by us. We appreciate hearing about your fun over-night stay or the family vacation but those dreams have quickly faded for us. Don’t mistake our lack of outings with the lack of desire to have them. Sometimes it is difficult to ask for help. We find ourselves looked over because it is often assumed that we “have too much on our plate.” Let us decide what is too much for us. We are still capable and have the desire to help others, go out with friends, or be included in events/outings. Money is always an issue. It is rare to find a special needs family that does not struggle to pay for the rotating door of medical expenses and/or special equipment that is sometimes needed. Neither is cheap and getting assistance can be difficult. We take your opinions into consideration but we know best. Real solutions come when time and effort go into a problem. We have logged in plenty of both so sometimes keep the opinions to a minimum and just offer a helping hand. Some special needs individuals do not have the ability to demand tolerance but their loved ones will. If your child teases or bullies our children, expect to hear from us. We are used to fighting for our children and most of us will not hesitate to speak up. Do not assume our child will “grow out of it” so stop asking. This is by far the most annoying question special needs parents are asked. We heard this question by nearly everyone when our son was diagnosed. These well meaning people would ask and seemed to wait tentatively for validation . For them to be okay with the diagnosis, it has to be short-term? No matter the term of the diagnosis, families are dealing with the here and now. We are upset when you are intolerant of our children, especially for a short period of time. A great deal of diagnoses carry the fine print of sleep deprivation. Be considerate when discussing your poor night of sleep. 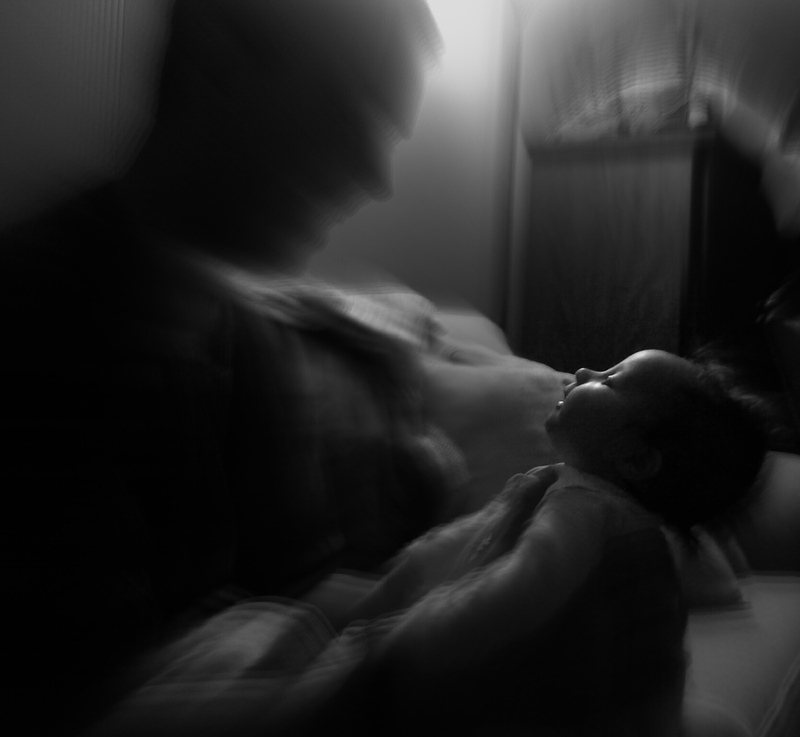 Many special needs parents are on years of sleep deprivation. As a result we are often feeling the physical and mental repercussions. We are still learning and every day brings new challenges. We research and ask as many questions as we can but usually a new question follows a solution. Be patient with us, most of us are doing the best we can. Stop pointing out the negative. We are well aware of our child’s short-comings. We don’t appreciate pointing out our child’s faults any more than a typical parent. We may not always say it, be we need it. If it sounds like we may need help, we probably do. These tasks may require you to feel uncomfortable or lose sleep but these are the things we will not soon forget. Most of us live in a constant state of chaos. No one can withstand this type of existence without feeling a little frayed. Stepping in for any amount of time makes a world of difference. We notice when you stop asking about our children. Our children may not be on the honor roll or in sports like typical kids but they still have accomplishments. Acknowledge the effort these kids make to do what most typical children take for granted. I guarantee they have worked on these tasks for a very long time. We love and are thankful for the opportunity to raise these special children but it is a stressful job. It can be “depressing” for you to hear but this is our reality and we can’t escape it. Please allow us a place to talk honestly and unload. And we want to do the same for you. Going out in public is hard. We are on guard in public places. We are aware of whispers and stares. We also know we have the right to public space. Most of us take others into consideration when situations become difficult, please do the same. Please do not make us feel guilty about our child’s behavioral issues and DO NOT say, “He was good for me until you walked in the door.” Parents are a safe place for kids to fall so it is not atypical for a child to misbehave around parents and caregivers. Special needs parenting changes the heart and mind. These parents can be the most empathic and patient people you will encounter. They often face a great deal of difficulty with a smile but they are hurting somewhere inside. There is a real struggle for these parents. The guilt of not knowing or doing enough is constant. They often feel like things will never get better and yearn for friendships that will withstand. Most only wish to change the world for the better of their children. We want others to see the true gift of the special needs child. This is such a great entry. I love it! Please continue to write more!